Minister with Responsibility for Defence, Mr. Paul Kehoe T.D., sent his best wishes to Lieutenant Commander Eoin Smyth and the crew of L.É. Samuel Beckett before their departure today for the Mediterranean to take part in “Operation Sophia”. Operation Sophia is the EU naval operation against smugglers and traffickers in the Southern Central Mediterranean. The Irish Naval Service first participated in Operation Sophia in October 2017 when LÉ Niamh deployed as part of the mission for a three month period. Operation Sophia is designed to disrupt the people smuggling operations in the Mediterranean and to enforce the arms embargo on Libya and is one element of a comprehensive approach, being undertaken by the European Union, to address the migration crisis in the South Central Mediterranean. 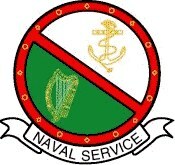 In July 2017, Minister Kehoe secured Government and Dáil approval for the deployment of a contingent of the Permanent Defence Force to serve as part of the UN mandated, EU Naval Operation in the Mediterranean, EUNAVFOR MED – Operation Sophia. L.É. Niamh deployed on 6 October 2017 to join Operation Sophia and returned on 20 December 2017. In the course of its deployment, the crew of L.É. Niamh were engaged in both security tasks and in responding to Safety of Life at sea events (search and rescue) in the area of operation. The objectives of Operation Sophia are not only to disrupt the activities of smugglers and traffickers; but also to prevent further loss of life at sea and to reduce the suffering and exploitation of migrants by countering and challenging the criminal organisations engaged in such activities. Naval Service deployment in 2018 as part of Operation Sophia will involve a total of 2 naval vessels deployed consecutively during the year for a period of approximately 30 weeks. The deployment will run from mid-April to end-November.